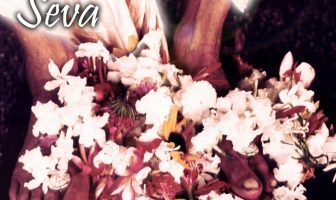 ( 111) Now that Lord Caitanya, His heart filled with mercy, has descended to this world, those living entities who had formerly never practised yoga, meditated, chanted mantras, performed austerities, followed various Vedic restrictions, studied the Vedas, performed spiritual activities, or refrained from sins, have become able to easily plunder the crest jewel of all goals of life. (114) In every home there is a tumult of hari-sankirtana. On every body are tears, hairs standing erect, and other symptoms of ecstasy. In every heart is the most exalted and sweet spiritual path that leads far from the path of the four Vedas. 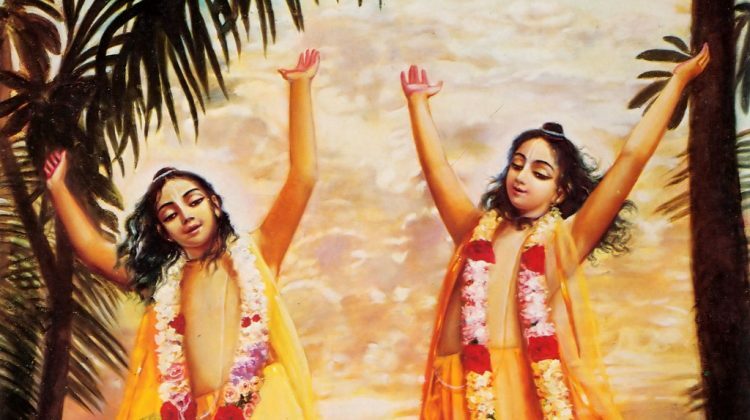 All this has appeared now that Lord Gaura has descended to this world. (115) The whole world is now suddenly flooded by the nectar waters of the ocean of pure love for Krsna. Now there is suddenly a great wonder of symptoms of ecstatic love never seen or heard of before. 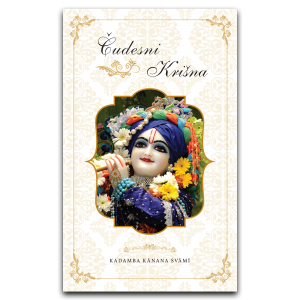 All this has suddenly appeared now that Lord Krsna has descended in a form as splendid as gold. We may not see it as described in these verses. We may not see that the entire world is now flooded with love of God, but it is, because everyone has been touched by it. 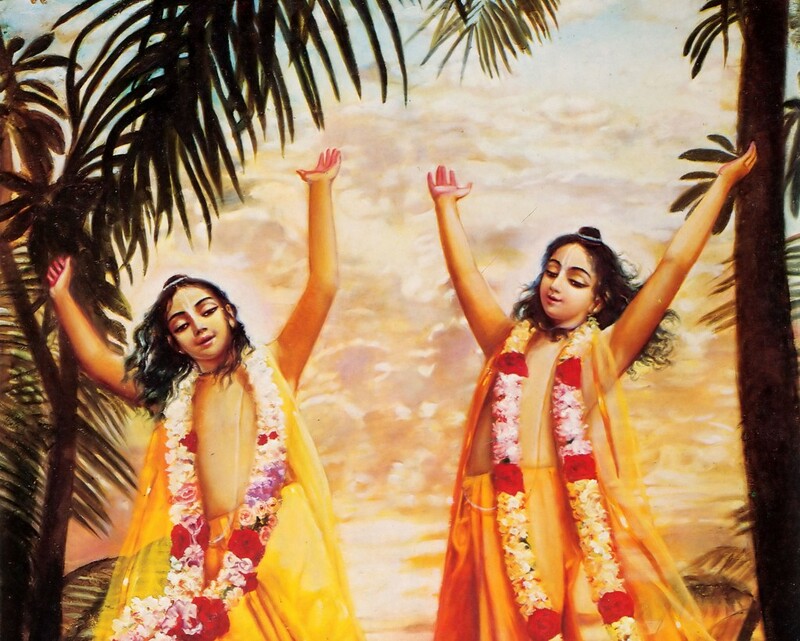 Who has not heard the Holy Name? Who has not been touched by this movement? Every small service will lead to more service, which will lead to still greater service. The influence of kali is gone. Material desires are meaningless. Don’t worry. Don’t conquer them! You will never conquer them! 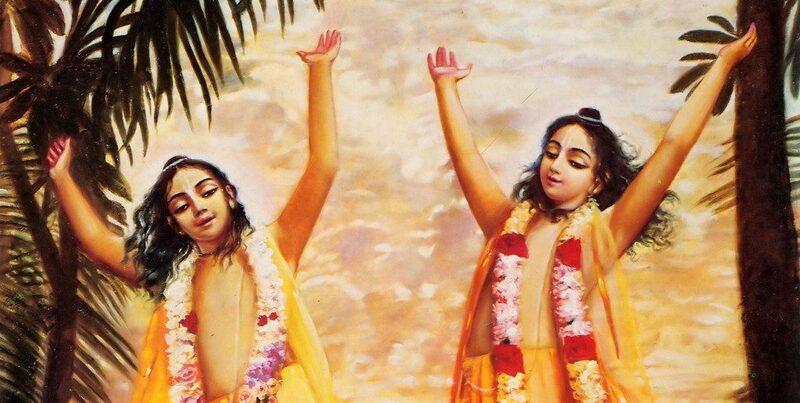 Chant, dance, take prasad, glorify Krsna and these material desires will drown. They will just be pushed to the background of our mind because in the foreground is sankirtan. Who cares about such things? Chant! Glorify Krsna! 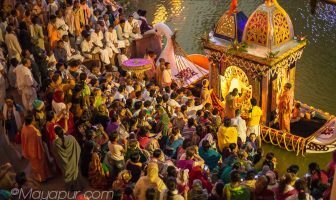 Fill our life with devotional service – more and more – more service, more Krsna! 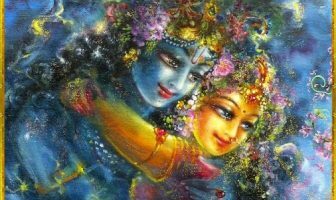 Bring Krsna everywhere and then, all other things will go, and one day we will be singing in love. It is already happening. It is already taking over. 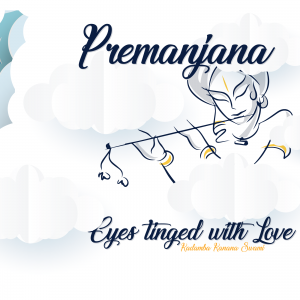 It has already begun – Krsna everywhere! The entire world is being flooded. 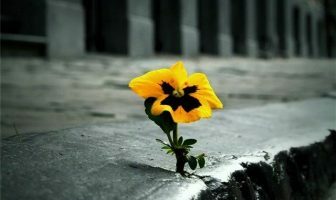 We are very optimistic that success will be attained. Thank you so much for bringing in some fresh hope into our spiritual lives. Kadamba Kanana Maharaja ki jai!